In July 1983, tensions increased between Tamil minority separatists and the Sinhalese majority in Sri Lanka, erupting into civil war. The Liberation Tigers of Tamil Eelam (LTTE, or the Tamil Tigers) fought to create an independent state in the northeast of the island nation. Most of the fighting took place in the north, but the conflict moved to the capital Colombo in the 1990s with devastating suicide bombings. The civil war would continue for next twenty-five years, creating both economic and political instability, inhibiting tourism and leading to international condemnation of human rights abuses as casualties mounted. The violence led to the deaths of over 70,000 people. Ronald K. McMullen was the political officer in Colombo during the early years of the civil war. He recounted his experiences there in an interview with Charles Stuart Kennedy in August 2012. Follow these links to read more about South Central Asia and civil war, and an account of the Sri Lankan Civil War. McMULLEN: We were in Sri Lanka from the summer of 1985 until mid-1987. Colombo was a two-year assignment at that time…. When we first arrived in Sri Lanka, things were starting to turn dangerous, as the Tamil separatists expanded their attacks. Turns out that Sri Lanka had just beaten India in a cricket test match for the first time ever, so everyone was out celebrating Sri Lanka’s victory over India. Most of the world’s Tamils live in southern India, in the populous state of Tamil Nadu. The Sinhalese, Sri Lanka’s ethnic majority, see themselves as Aryans from northern India who moved to Sri Lanka long ago and who now comprise the island’s rightful inhabitants. Sinhalese view the Tamils living in Sri Lanka as recent interlopers. Of course, this view leaves out the aboriginal Vedas, a group akin to Australian aboriginals who have lived on the island for many thousands of years…. 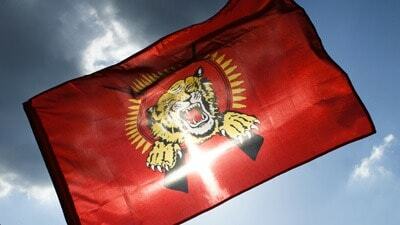 The politics of the Tamil secession movement were intertwined with the overall India-Sri Lanka relationship. When I was there it was not clear whether India supported Tamil separatism or a united Sri Lanka. Many Sri Lankan Tamils were highly educated and had gone into the professions because historically they had trouble acquiring land from the Sinhalese. The so-called Indian Tamils were later immigrants, many of whom toiled on upland tea plantations and did not support separatism. Most diplomats in Colombo hired domestic servants who were Tamils, and the government was dominated by Sinhalese…. Somehow I had to find out what was happening and develop contacts to help me understand the dynamics of the separatist insurgency. Most of the fighting occurred in areas too remote and dangerous to visit. So I had to quickly develop a network of contacts I could trust. At a diplomatic function, I met a Sri Lankan army colonel whose first name was Daya. Daya worked in the Sri Lankan Joint Operations Command Center, where he summarized incoming information on any recent combat and passed it to the Ministry of Defense, the army chief, and the Office of the President, if it was serious enough. He found out in almost real time about all clashes occurring on the island. We hit it off instantly, despite the fact that he was much more senior than I was and could have been talking to our defense attaché or the DCM [Deputy Chief of Mission]. But we just clicked personally…. I was also the counternarcotics officer. There was no DEA [Drug Enforcement Administration] at post, so I handled narcotics reporting and some operational things. The Tamil Tigers were importing brown heroin from Pakistan, further refining it, and trading it to arms dealers in Southeast Asia for surplus Vietnam War era weapons. We aimed to help the Sri Lankans break the link between imported heroin and smuggled weapons. The Tigers sent heroin in shipping containers from Karachi to Colombo. This was before shipping container scanners were invented, and few incoming containers were thoroughly inspected. The Sri Lankan narcotics police had six Belgian Shepherds that the European Economic Community had given them, but the dogs didn’t do well in the heat and humidity of Colombo. They were kept up in the highland town of Kandy and were only brought down to Colombo if there was a solid tip about heroin or other drugs coming in. They weren’t very effective. DCM Ed Marks, the head of the Sri Lankan narcotics police, Donald Ferando, and I got together for lunch to brainstorm a bit. By the way, Donald had been a stunt double for William Holden in the movie “Bridge on the River Kwai,” which was filmed in Sri Lanka. The DCM said, “Why couldn’t we see if mongooses can be trained to detect narcotics?” I was tasked with writing a grant proposal to the State Department requesting funding for a pilot mongoose counternarcotics training project. At first, folks laughed, but we eventually got $50,000 for the project. We hired a Sri Lankan with a Ph.D. in zoology from Maryland to be the trainer, convinced the National Zoo to let us use their space, and got heroin from the narcotics police to train the mongooses. The idea was to release a brace of mongooses into a shipping container packed with machine parts. They’d scramble around in there, and if they found heroin, they’d come out with their tails all a-bristle. Then the authorities would know to unload that container and find heroin. The project manager caught the seven varieties of mongooses that live in Sri Lanka, raised them from pups at the zoo, and trained them to detect narcotics. At the end of the training period, the British sent counternarcotics officers to Colombo to give the mongooses their final test, which they passed with flying colors. 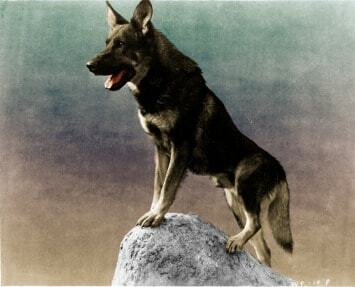 A reporter from The San Francisco Chronicle wrote an article about this called “Rikki-Tikki-Tavi Versus Rin Tin Tin in Sri Lanka.” She characterized the project as a culturally appropriate approach to fighting drug trafficking. The project was never implemented because two things happened. First, my assignment in Sri Lanka ended and I departed post. Second, just as we were leaving, a radical Maoist group called the JVP (Janatha Vimukthi Peramuna or People’s Liberation Army) launched a bloody uprising. The JVP, a blend of Maoism, radical Theravada Buddhism, and anti-India hysteria, had earlier, in 1971 I think, orchestrated a revolt that failed. They tried again in 1987, but the Sri Lankan military hammered them down, with maybe 17,000 people killed. This happened while the Tamil secession was raging in the north and east. The fighting between the JVP and government spread to parts of Colombo, including the area around the zoo. 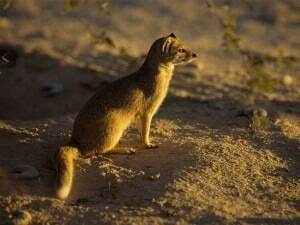 As a result, the mongoose project was never implemented, although the British authorities who evaluated the pilot were enthusiastic. I still think it’s got potential, if somebody wanted to pick it up…. The India-Tamil connection was confusing. Nobody knew for sure if the Indian government was supporting the insurgents or the government of Sri Lanka, with which it had good relations. Initially there were a half-dozen Tamil secessionist groups, but eventually the ruthlessly effective Liberation Tigers of Tamil Elam (LTTE or Tamil Tigers) destroyed all rival groups. 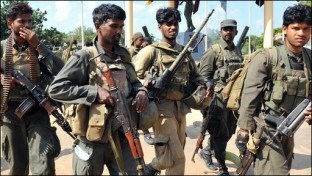 Several of the rebel groups had supporters in Tamil Nadu and perhaps sympathizers in New Delhi. I spent part of my last day at Embassy Colombo on the roof of the chancery with a pair of binoculars trying to map out fires arising from widespread rioting. We were trying to discern what parts of the city were being attacked by anti-Indian Sinhalese thugs. Were they attacking Tamil neighborhoods or government of Sri Lanka facilities? Sinhalese nationalists were up in arms due to reports that Indian air force planes were over Jaffna. The Jaffna Peninsula is in the extreme north. It was the government’s last outpost in the Tamil-dominated north of Sri Lanka. Part of Jaffna was under siege by Sri Lankan troops who still held the old Dutch fort that loomed over the city. Reports spread like wildfire that the Indian air force was dropping parachutes over the Jaffna Peninsula. 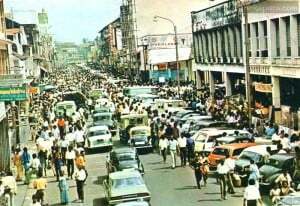 Radical Sinhalese nationalists feared that India was invading and we worried that Sinhalese extremists were attacking Tamil neighborhoods in Colombo, potentially leading to an ethnic bloodbath. We had very tight security at the embassy, overseen by Regional Security Officer (RSO) Jeff Bozworth. But embassy families lived in normal neighborhoods around Colombo. There were a number of truck bombings targeting hotels and public buildings. In 1986, the LTTE bombed an Air Lanka plane as it prepared to fly from Colombo to Maldives. Two America officials were aboard, Econ Officer Lorraine Takahashi and a visiting U.S. Customs agent. At the last minute, they asked to be upgraded to business class, as they’d paid full fare economy and Air Lanka agreed. Meanwhile, a Sinhalese aircraft mechanic had been pressured by the LTTE into putting a bomb on the plane, as they had kidnapped his family and threatened to kill them otherwise. As the plane was taxiing into takeoff position, the bomb exploded immediately beneath the Americans’ original seats. The plane was cut in half. The bomb had been set to go off just after take-off, but the flight had been slightly delayed, so the plane was not yet airborne. The two Americans staggered from the wreckage. The Customs agent began snapping pictures of the smoking fuselage, which helped identify where the bomb had been placed and eventually led to the capture of the Sinhalese mechanic who had been forced to put the bomb on the plane. Lorraine dashed back to the airport office, vaulted over the counter, and grabbed an Air Lanka clerk by the lapels and shouted, “Give me the passenger manifest.” She saw that there were no other American citizens on the plane. Over 20 people were killed, many of them Japanese honeymooners going to the Maldives. Lorraine called the embassy only moments after the explosion and reported, “An Air Lanka plane has just been blown up on the runway in Colombo. The plane’s cut in half and there are many casualties. 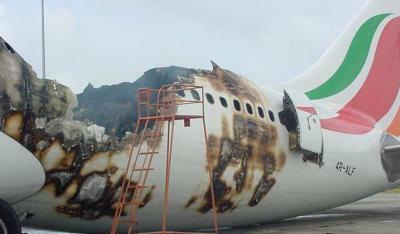 We’re unhurt and there were no other American citizens on the flight.” Really an act of heroism… under severe pressure. We operated in that environment. I was shot at one time. But they missed…. The JVP was recruiting in Colombo among students, Buddhist monks, and Sinhalese chauvinists as LTTE attacks grew in intensity in the north and east and India’s intentions remained unclear. After a small pro-JVP demonstration, police chased some young men into a Buddhist monastery near the embassy. The monks refused to let the police enter the monastery, and the police then surrounded the compound. Soon, students began to congregate and pelt the police with stones, spurring the deployment of paramilitary commandos called the Police Special Task Force, a unit that by reputation was particularly tough. The students began to battle the Special Task force, throwing rocks and bricks. The police clubbed any students they could catch, and later began to shoot at the rioters. Tires were piled on corners and set alight. This was all happening fairly close to the embassy, and, eager young political officer that I was, I hustled over to see what was going on. As I approached the troubled area, I found I was suddenly among the mostly college-aged students who were battling the police. As I stood there talking with them, the police front line began to advance up the narrow street toward my location. Just then a bicycle appeared, peddled by a British teacher I knew. “I live just down the street. I’m on my way home, it’s not far,” she replied. She got off her bicycle and as I looked down the street, the Police Special Task Force lowered their rifles and were about to fire a volley towards us. The police fired a volley and I saw something black skip along the road and land in a clump of weeds. I thought, “I’m still alive, we’re not shot.” I said, “If they’d been firing live ammunition, I wouldn’t have seen something bounce along the street– they’re firing rubber bullets.” I begin to rummage through the clump of weeds trying to find the rubber bullet. We thanked the young rioter for getting us safely out of the conflict. I advised the teacher to go stay with a friend, and I went back to the embassy to report on the riot. It was the only time in my career that I was shot at. But it was only a rubber bullet, and it missed…. 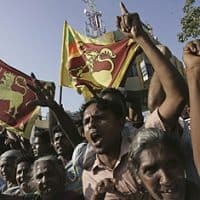 We were supportive of the government’s efforts to put down the Tamil insurgency, but we were concerned about the human rights abuses of the Sri Lankan government. The army was not very big or effective. It didn’t know how to conduct a counterinsurgency campaign. 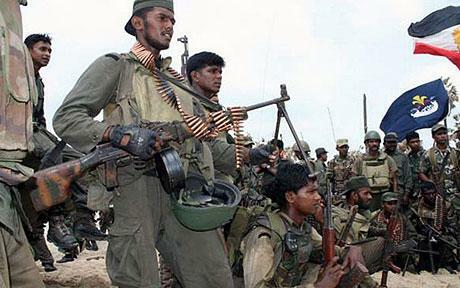 The Sri Lankan army in 1986 was woefully unprepared to differentiate between Tamil insurgents and civilians. There were many human rights abuses. We had an active IMET (International Military Education and Training) program focused on improving the army’s horrid human rights record. 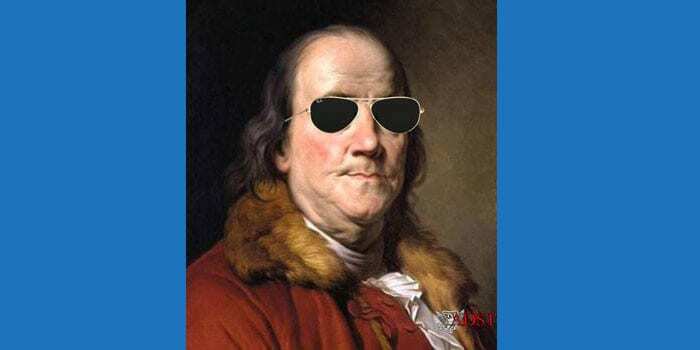 We were not as directly involved as the British or the Indians, frankly. We supported the government but were concerned about human rights abuses. We were also worried about the Maoist JVP. The JVP was a potentially pro-communist movement, and this was the Cold War period. We were watching the conflict between the Tamils and the government of Sri Lanka and the JVP rebellion. We didn’t want another Khmer Rouge style government coming to power…. As the war increased in scope and intensity, it became apparent that the democratic Tamil opposition in parliament was not able to speak for the Tamil majority. The tea estate workers in the central mountains were Tamils of more recent arrival to Sri Lanka, and they did not support the rebels. The Tamils in the hill country, the “Indian Tamils,” were viewed as being loyal and had limited political clout. Thus, American missionaries went to the Tamil areas, particularly around Jaffna, and established schools and hospitals. Many Tamils were educated in American mission schools in the north. As Ceylon moved towards independence, a relatively high proportion of Tamils were educated professionals, partly because Tamils couldn’t easily acquire productive property. After independence, many Tamil students vying for university admissions were rejected, even though they scored higher on entry tests than Sinhalese who were admitted. American missionary education combined with Tamil culture to produce an educated professional class of Tamils who felt discriminated against by the Sinhalese majority. Many Tamil professionals looked to the United States to help prohibit further discrimination against Tamils. We were unsuccessful in our efforts to head off institutionalized bias against Tamils, who were seen as an advantaged minority by the Sinhalese majority and the government.